Are you looking to build in Red Oak, Iowa? 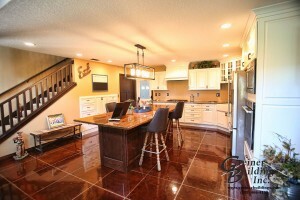 Let Greiner Buildings be your number one choice. We have a great reputation in the Midwest for our high quality post frame buildings. Post frame buildings are the most cost effective way to build – as wood materials are much more affordable than metal and steel. These types of buildings are designed to be extremely energy efficient and long lasting. Not only that, but post frame buildings are versatile and easy to add on to. Hoop Buildings, Pole Barns, Steel Frame & More! Not only do we construct post frame buildings/pole barns, but we also install professional hoop buildings and steel frame structures that are manufactured by the leading companies in the industry. For all of your custom building and contracting needs in Red Oak, Iowa, call Greiner Buildings today. We have been the number one source for all building applications in the Midwest for over 25 years. Our company is well known for our expert contractors and timely services. You will find our team easy to communicate with and extremely dedicated to your project. Take a look at our testimonials to see what customers have to say about us! For more information about our services, give us a call today or fill out our free estimate form.